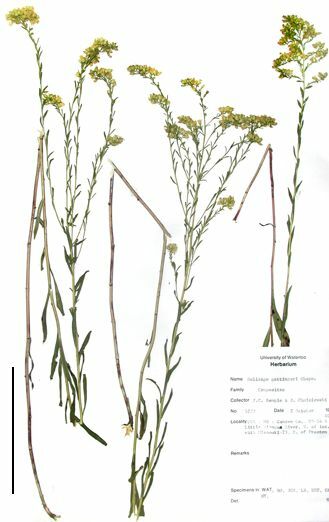 Solidago gattingeri Chapman ex A. 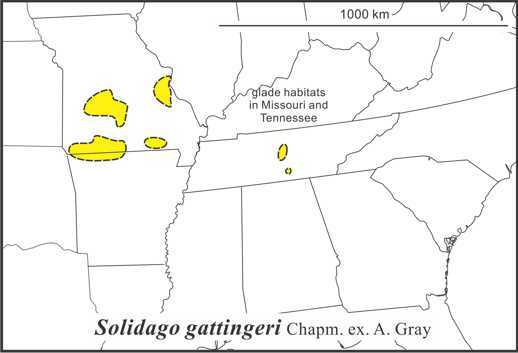 Gray is native to cedar barrens, limestone ledges and glades in central Tennessee, southern Missouri and adjacent Arkansas. 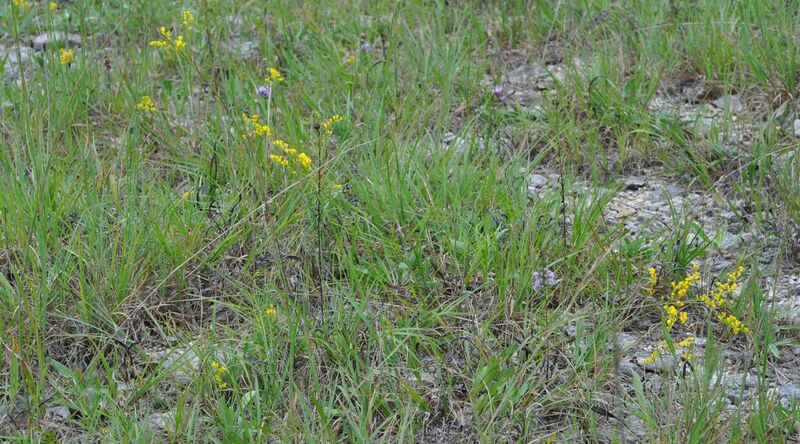 It is adapted to seasonally dry habitats and can have shiny stems and leaves and phyllaries. The species has 5–8 ray florets and 3-9 disc florets (Semple & Cook 2006 FNA). In a multivariate study, Lopez Laphitz et al. 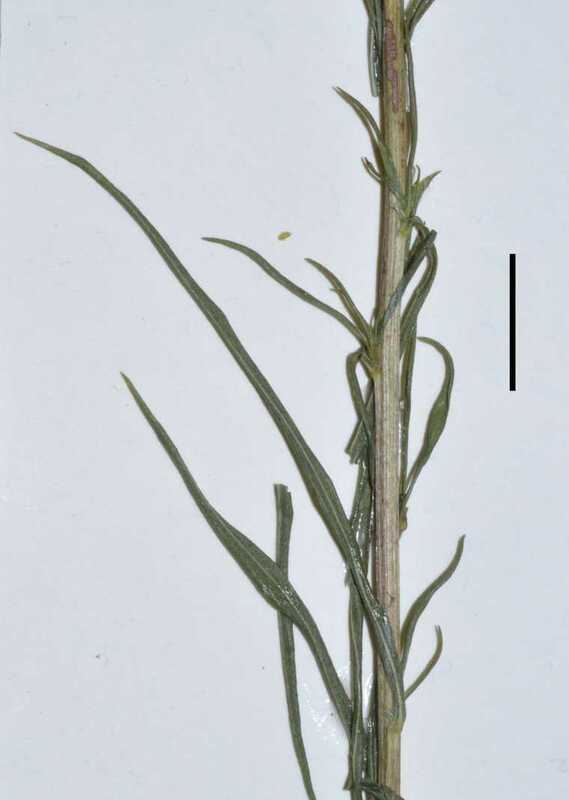 (2011) found the S. gattingeri, S. juncea, and S. pinetorum differed from the western three species of subsect. Junceae (S. confinis, S. guiradonis and S. spectabilis), but could be sometimes similar to each other on technical traits. Sample sizes were small and an expanded analysis would be useful. The species is diploid 2n=18 in central Tennesee. Lopez Laphitz, R., Yunfei Ma and J.C. Semple. 2011. 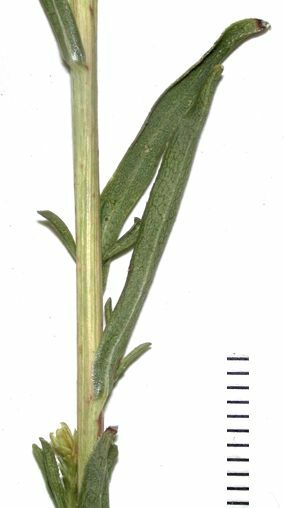 A multivariate study of Solidago subsect. Junceae and a new species in South America (Asteraceae: Astereae). Novon 21: 219-225. © 2013 J.C. Semple, including all photographs unless otherwise indicated.